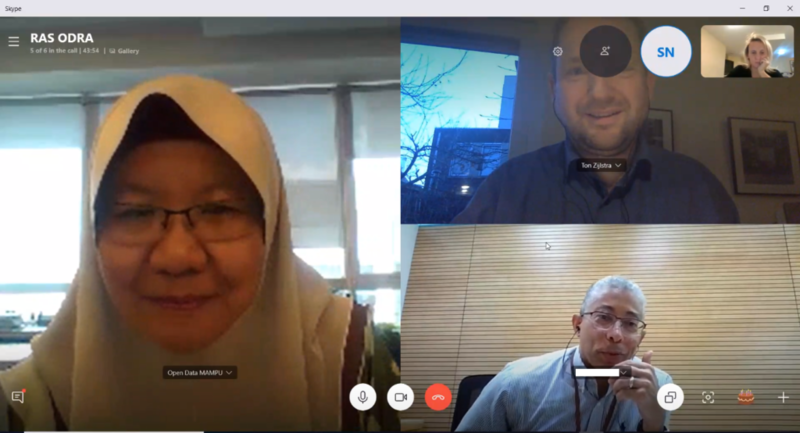 An early start this Monday at 6 am, for a conference call with colleagues in both Malaysia and the USA. Our time zones are 6-7 hours apart, with me in the middle, so it was late night in Washington and afternoon in Kuala Lumpur. I like this type of balancing of the timing so it just about works for all involved. Last year November and in the months afterwards, me and my team did an Open Data Readiness Assessment (ODRA) for the Malaysian Government. It’s the third such national ODRA I’ve done for the World Bank. 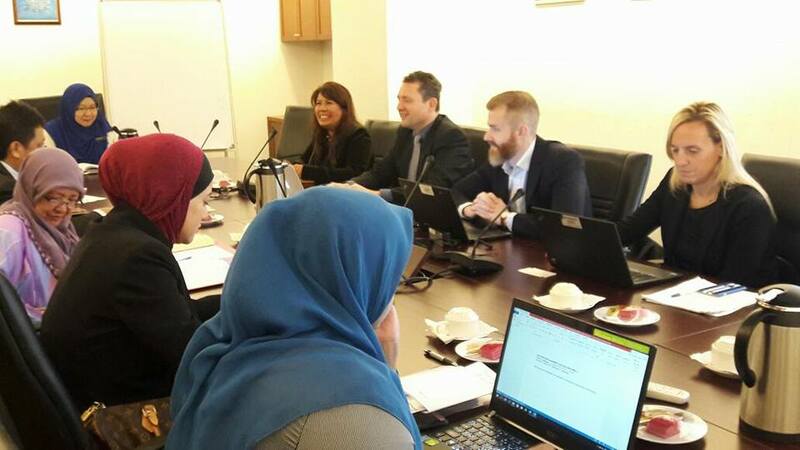 This week I returned to Malaysia together with my colleague Carolina Vaira to officially deliver our report to the general affairs Minister responsible for the administration modernisation planning unit (MAMPU). 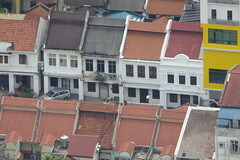 MAMPU is the lead agency for open data efforts in Malaysia. The report is the culmination of a lot of work, amongst others interviewing some 45 government agencies and a few dozen non-government entities (we spoke to almost 200 people in total in a 2 week interviewing frenzy), in which we provide an overview of the current situation in Malaysia, and how conducive it is for more open data efforts. At the same time the delivery of the report is not an end-point but in itself a starting point and source of energy to decide on the next steps. 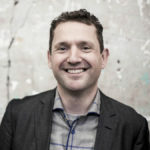 An ODRA is not meant as a scorecard, but is a diagnostic tool, and its most important part isn’t the assessment itself (although it is very useful to get a good insight into the role of data inside government and in society), but the resulting list of recommendations and suggested actions. In that sense a critical phase now starts: working with MAMPU to select from our recommendations the steps that are opportune to do now, and finding the right willing data holding government agencies and external stakeholders to involve. That I think is also the key message of the report: most essential building blocks for open data are in place, and Malaysia is very well positioned to derive societal value from open data, but it needs more effort in weaving the relationships between government and non-government entities to ensure those building blocks are cemented together and form a whole that can indeed deliver that value. 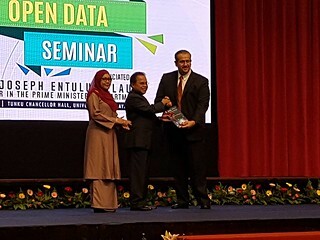 The formal delivery of the report to the Minister took place at the University of Malaysia, as part of Malaysia Open Data Day 2017, after which I presented some of the key findings and my colleague presented some good practice examples to illustrate some of the actions we suggested. 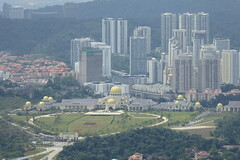 The Malaysia ODRA report is online from the World Bank website, as is a press release, and video of the entire event. My slides are embedded below. 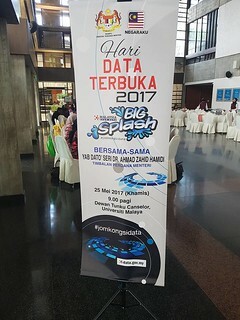 Jom Kongsi Data! Let’s share data! The past 12 days I was in Malaysia on mission for the World Bank and Malaysia’s Administrative Modernisation planning unit (MAMPU). 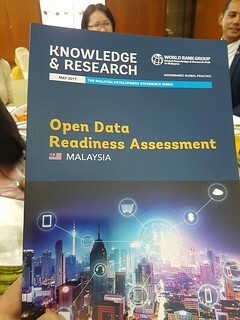 Malaysia is pushing forward both on Big Data and Open Data initiatives, and I was there to do an Open Data Readiness Assessment (ODRA) to help point to the logical and most promising steps to take, in order to unlock the full potential of open data. The ODRA was the result of conversations I had with MAMPU when I visited Malaysia last year as member of the Malaysian Big Data Advisory Panel. Over the course of my visit we met with representatives of over 70 organisations, ministries, departments and agencies (2/3 government), and some of those organisations several times, usually for 1 hour or 90 minute sessions. All of these focused on the federal level (Malaysia is a kingdom with a federal structure). In all these meetings we were trying to understand the way the Malaysian government works, and how data plays a role in that. From the output, using the ODRA methodology, we assess the logical and possible steps for Malaysia to take towards more open data. The first two days were filled with meetings with civil society, the private sector and academia. The third day we met with the Minister for Administrative Modernisation responsible for MAMPU, which in turn is the responsible agency running the open data efforts. Together we officially launched the ODRA effort in attendance of the press and some 300 representatives of various civil society, business and government organisations. 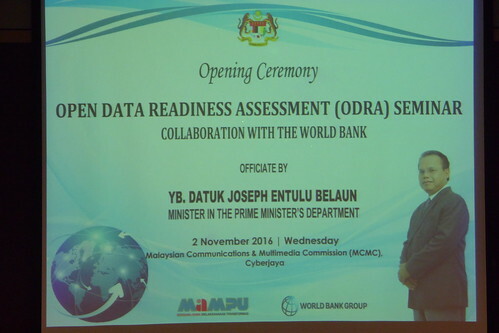 The Minister pointed to the value of open data in light of Malaysia’s development goals in his opening speech. After a little exercise, by my WB colleague Carolina from Washington, to gauge the opinions in the room on the value of open data to help move to a more informal exchange of ideas, I gave a presentation to show how open data creates value, what ensures open data success and how the ODRA will help find the right ‘hooks’ to do that. The Q&A that followed showed the strong interest in the room, and also the commitment of the Minister and MAMPU as both he and MAMPU’s DG got involved in the discussion. Malaysia strikes me as a country with lots of diversity, and as very result driven. That diversity was further emphasized while reading the very beautiful book Garden of the Evening Mists by Malaysian author Tan Twan Eng, but is also visible in every meeting we had, and every little walk I took through the city. The public sector is driven by KPI’s and in general everything is very much progress and future oriented. That has yielded impressive results, such as removing poverty in just generation, and now walking the path to be a high-income country by 2020. At the same time, all those KPI’s can generate a lack of focus (if everything is a priority, nothing really is) and can create blind spots (softer aspects such as the quality of interaction between government and the public) because it is harder to quantify. 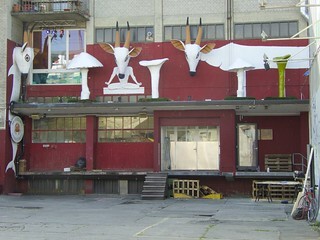 Last year I was only visiting for 2 days or so, and had no time to see more of my surroundings. This time I was here for a week and a half, although most of those days were very busy. Some of the evenings, and during the weekend however my WB colleagues Rob (based in KL) and Carolina go to explore the city a bit, and enjoyed the great food. I spend a few hours visiting the Menara Kuala Lumpur, a telecommunications tower that has an observation deck providing a great view from 300m up over the city. With 5 million people it is a sprawling city over a large area (we commuted everyday from the hotel to MAMPU offices, 35kms away, all within the city), and the view from the tower showed me how extended that area really is. 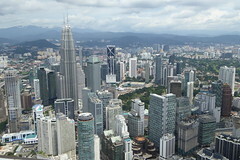 Some views from Menara KL over the city. From the open 24th floor of one of the Troika towers, enjoying Peruvian food, watching the sun set and lights come on in Petronas Towers. In the background Menara KL from which I had a great view over the city earlier that day. The coming weeks we’ll go through all the material we’ve collected in our meetings and during our desk research. From it a report will result that is action oriented to help MAMPU drive open data forward, and use it as a tool to attain the development goals Malaysia has set for itself. 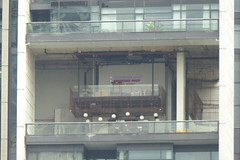 Most of the necessary building blocks are in place, but those blocks are all in their own silos and generally not connected. 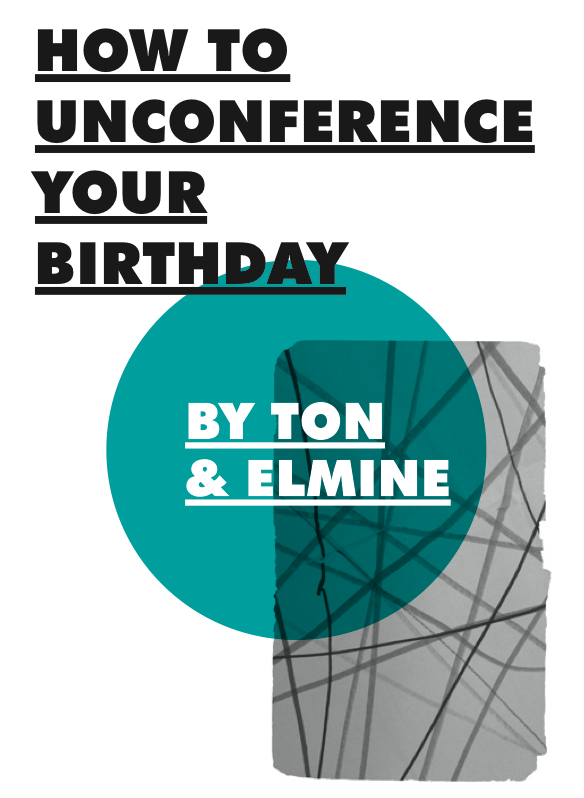 Likely most of the suggested actions will be about creating the connections between those building blocks and work on the quality of relationships between stakeholders and the awareness of how open data can be a tool for both the public and for the public sector. I am grateful to the great MAMPU and WB team for our collaboration these past days and the hospitality they have shown me. Today a tweet from the Serbian office of the Commissioner for Information of Public Importance and Personal Data Protection thanked me and colleagues for promoting open data. As a result the Commissioner’s Office has launched an open data site today, on the data subdomain of their regular website, data.poverenik.rs. This is very good news, and a welcome consequence of the open data readiness assessment I did with the World Bank and the UNDP last year. In June I spoke with the Commissioner about their work, and his deputy already took an active role last December at the conference where we presented the results of the assessment. In a press release (Serbian only), the Commissioner’s Office states that as further encouragement to the Serbian public administration, the Commissioner is opening up data concerning their own work. Thirteen data sets have been published, one of which I think is very important: the list of public institutions that fall under the freedom of information and data protection frameworks (over 11.000!). Other data published concerns the complaints about information requests and their status the office received, as well as complaints and requests concerning data protection and privacy. With the help of civil society organisation Edukacioni Centar (whom I had the pleasure of meeting as well) the data comes with some visualizations as well, to improve the understanding of what data is now available. One allows navigating through the network of over eleven thousand institutions that fall within the scope of the Commissioner’s Office, another the status and subject of the various complaints received. Steps like these I find important, where institutions such as the Information Commissioner, or here in the Netherlands the Supreme Audit Institution, lead by example. By doing that they underline the importance of transparency also to the functioning of their own institutions. The UNDP has published the open data readiness assessment for the Krygyz Republic. From November 2014 to June 2015 I visited Kyrgyzstan three times for a week on behalf of the World Bank. In collaboration with the Kyrgyz Government and the UNDP, as well as local companies, civil society organisations and the coding community, we looked for the right starting points for open data in Kyrgyzstan, and which steps to take to get going. The UNDP has now published the resulting report, which is embedded below. Download link here. 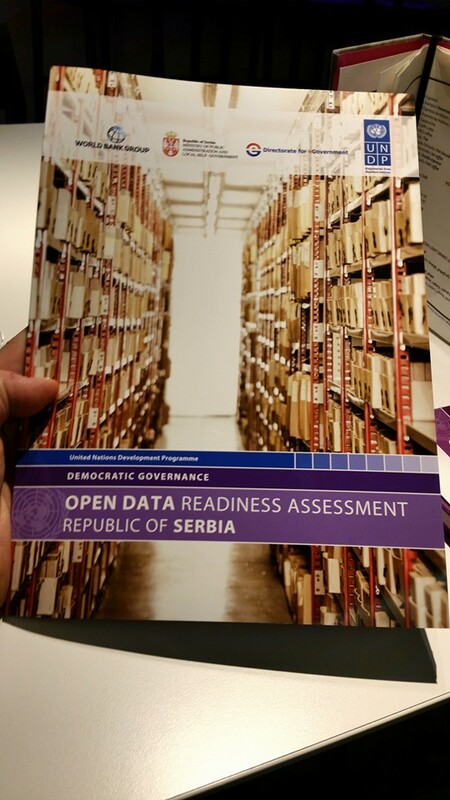 Last June I spent time in Serbia doing an open data readiness assessment for the World Bank. Early this month I returned to present the findings, and to mentor a number of teams at the first Serbian open data hackathon. The report I wrote is now also available online through the UNDP website. 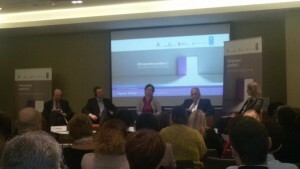 The UNDP organized a conference to present the outcome of the readiness assessment and discuss next steps with stakeholders. 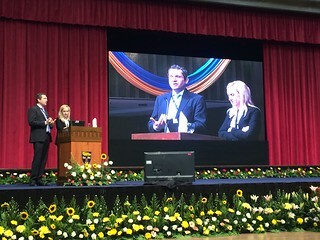 At the conference I presented my findings to the Minister for Public Administration and Local Self Government (MPALSG), and a printed version was made available to all present. At the conference the 11 teams that created open data applications at the hackathon the weekend before, called Hakaton.rs, were also presented. 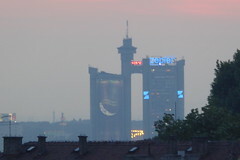 The hackathon took place in the recently opened StartIT Centar, a coworking space (which got funded through kickstarter). I had the pleasure to be a mentor to the teams (together with Georges and Brett from Open Data Kosovo), to channel my experience with open data communities around Europe and open data app-building in the past 8 years. 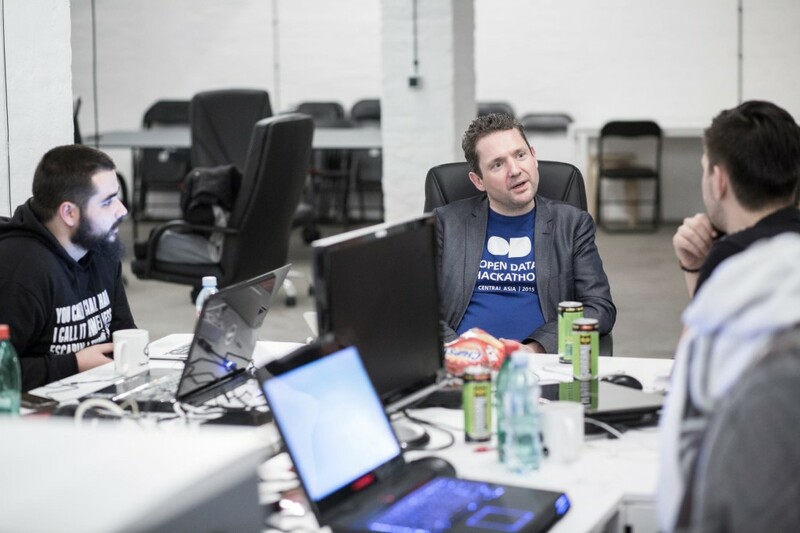 The quality of the results was I think impressive, and it was the first hackathon where I saw people trying to incorporate deep-learning tech. I aim to post separately on the different applications built. That the hackathon was about open data was possible because five public sector institutions (Ministry for Interior, Ministry of Education, Agency for Environmental Protection, Agency for Medicines and Medical Devices, and the Public Procurement Office) have been working constructively to publish data after our first visit in June. In the coming months I hope to return to Belgrade to provide further implementation support. We’ve packed up the household for a month in Lucca, Tuscany this July with a week in Switzerland before it, and a short stay in Switzerland after it. More relaxation and sabbatical than working in a different environment this time, so in that sense different from previous month long moves to Copenhagen and Cambridge or other extended working stays in Berlin, Helsinki and Switzerland. A lot has happened, and is happening, to us and our close relatives on both sides of the family, making it a challenging year. So some extended time to be together with the two of us is something I was looking forward to a lot. At the same time I hope to be able to do some reflection, research and writing as well, in the hours where it’s too hot to venture out anyway. Before heading out to explore and enjoy Tuscany more, as I’ve never visited this area. The first week we spent halfway to Lucca, in Switzerland. Staying with dear friends in their home on Lake Zug, Elmine took it easy, while I spent most of my time working. Monday was spent on creating two presentations, one on open data as an instrument for policy implementation, one on the economic and organizational rationale for a national data infrastructure of ‘core registers’ such as the Netherlands and Denmark have, and others are currently exploring. Tuesday afternoon I took a train to the Swiss capital Bern for an early bird and speaker’s dinner with the organizers of the Opendata.CH conference. A lovely dinner at the bank of the river Aare. We were just underneath the Swiss parliament building perched on the edge of the higher lying old inner city, in a bend of the river. People were swimming in the river, letting the stream transport them before walking back upriver to jump in again. The Opendata.ch conference took place for the 4th time this year (I spoke there in 2012 as well), at the University of Bern. Over 200 people ignored the sweltering summer heat and sat in stuffy lecturing halls to discuss opening Swiss government data together. In the morning I gave a keynote where I asked how come we are still meeting like this, to encourage and convince? 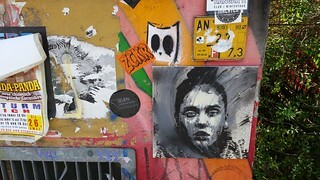 Why is the visibility of impact so fragmented? After which I proceeded with how starting from a (policy) goal, mobilizing stakeholders with open data leads to more easily visible impact. At the same time also creating intrinsic government motivation to keep publishing open data, as it becomes a valuable policy instrument. It seems the presentation went over well, getting a mention in the press. The afternoon was given over to workshops. Together with my Swiss colleague André Golliez and with Alessia Neroni (Bern Univ for Applied Sciences) we hosted a workshop on building a national data infrastructure around core registers. I presented the experiences we made in Denmark (research done by colleague Marc) and Netherlands, as well as touching upon France (link to a opinion piece I wrote) and other countries. The Swiss current situation was very well described by Alain Buogo (Deputy director at Swisstopo) and Bertrand Loison (board member of the Swiss statistical office). This was the first such discussion in Switzerland and one I hope to continue. After the conference I returned to Walchwil by train, joining three board members of the Swiss open data community until Zurich. 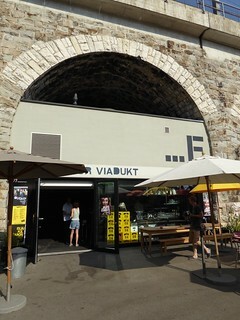 The next day I traveled to Zurich again to talk more with André Golliez, meeting at the Impact Hub, an international oriented co-working space in one of the spans of a railway viaduct, in the hipster dominated Hardbrücke area. We planned some next steps for our collaboration, which likely will see me return late next month for more meetings. 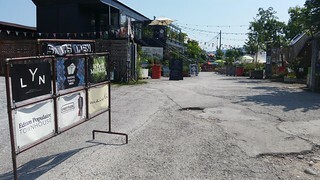 Then we moved next door to pub and music podium Bogen F (viaduct span F), for the 60th birthday party of André, as well as the launch of his new open data consultancy. It was a good opportunity to meet some of his family, friends and professional peers. 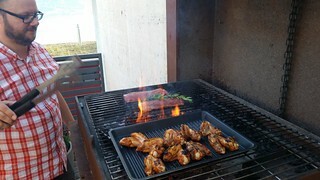 The relaxed bbq, and some wheat beers, made my German slip into a stronger Austrian accent (where I learned it as a kid), to the amusement of the Swiss. 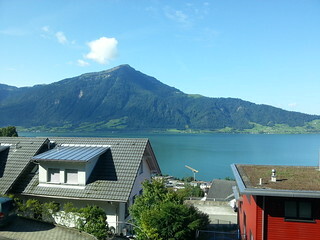 Friday was spent mostly in conference calls while gazing out over Lake Zug. In the morning working with Aleksandar in Belgrade on the Serbian open data readiness assessment (see recent posting), and in the afternoon taking a deep dive into the methodology behind the W3C Open Data Barometer. The research for the 2015 edition is starting now, and me and my colleague Frank are doing the research for six countries (Austria, Switzerland, Ireland, Belgium and Netherlands). In the evening we had a leisurely dinner at the lakeside, in restaurant Engel. 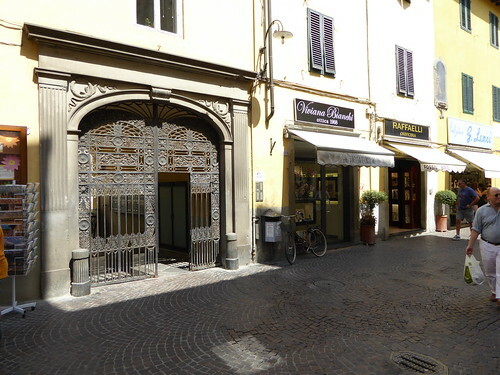 We had originally planned to drive to Lucca on Saturday but traffic and weather predictions suggested to do otherwise. So instead we met up with our dear friends Hans and Mirjam, who moved to Switzerland 18 months ago, for a nice summer bbq. 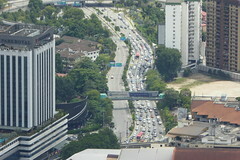 Much better to spend time in conversation than standing in a traffic jam in tropical temperatures. Sunday we then left relatively early at 8:30, cutting through the Gotthard Tunnel with ease and cruising along mostly empty Italian motorways (except for near Milano), to our destination Lucca, arriving early afternoon. Here in Lucca, originally an Etruscan city, we were met by our kind host Enrico, who guided us to our apartment located right within the old city walls and gave us some useful tips to help us find our way around. In a renovated former nunnery we now enjoy a quiet home looking out over a garden towards the city wall, with the busiest shopping street Via Fillungo (dating from Roman times), with coffee, wine, shoes, and Italian food right in front of our doorstep. A nice basic meal at Gigi, after unpacking, finished up this first week. The week before last I worked on an Open Data Readiness Assessment (ODRA) for Serbia during a week long mission to Belgrade. It is part of my work for the World Bank and done in close collaboration with the local UNDP team, at the request of the Serbian directorate for e-government (part of the ministry for administration (reform) and local authorities). Next to me visiting a wide range of agencies with local colleagues Irena and Aleksandar, my colleague Rayna did a roundtable with civil society organisations, and my colleague Laura a roundtable and a number of conversations with the business community. We also had a session with UN representatives, and WB project managers, to mainstream open data in their project portfolio. Throughout the week we invited everyone we met inside government who seemed to be interested or have energy/enthusiasm for open data for a meeting on the last day of the mission. There we presented our first results, but also made sure that everyone could see who the other change agents across government are, as a first step of building connections between them. The final day we also had a session with various donor organisations, chaired by the UNDP representative, to explain the potential of open data and present the first ODRA results. In the coming few weeks the remaining desk research (such as on the legal framework) will be done, and the draft ODRA report and action plan will be prepared. A delivery mission is foreseen for September. In the meantime I will aim to also spend time helping to strengthen local community building around open data. 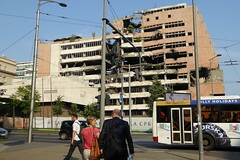 In Serbia, the dissolution of Yugoslavia and ensuing wars (Bosnia, Croatia), the Milosevic era, international sanctions, and NATO bombardments during the Kosovo conflict (1999), have left deep marks on the structures and functioning of government and other institutions (as elsewhere in the region). I had always more or less assumed that in the early nineties the former Yugoslavian federal institutions had morphed into what are now the Serbian national institutions. Instead these federal structures largely dissolved, leaving gaps in terms of compentencies and structures, which are not helped by (legacies of) corruption and political cronyism. 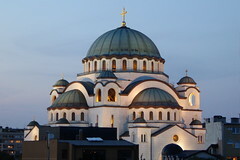 Serbia is a candidate for EU Membership, meaning a path of slow convergence to EU policies and regulations.